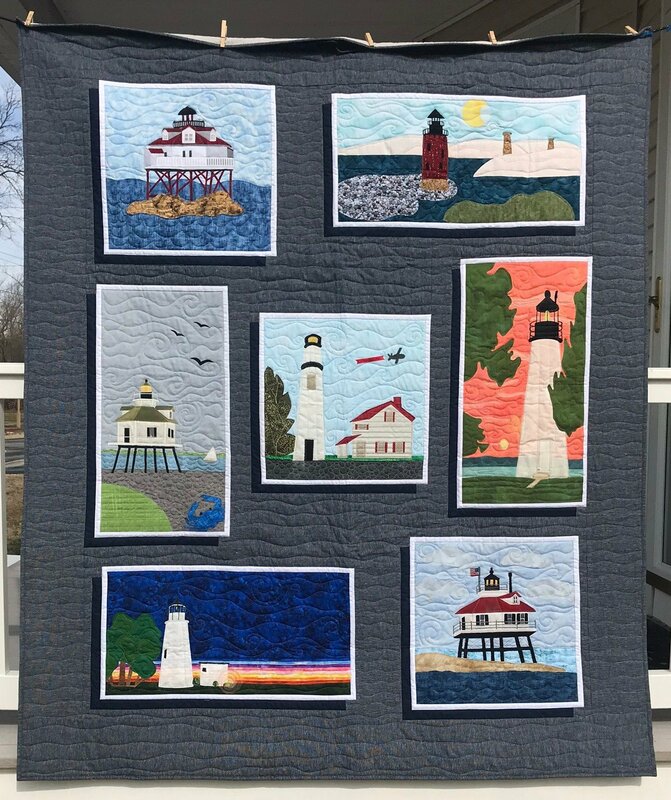 This is just the setting pattern for the Quilts Around The Bay Shop Hop 2019 - Lighthouses On The Bay. Patterns or kits of the lighthouses must be gotten from each individual shop. The quilt finishes at 62" x 75". This is just the setting pattern for the Quilts Around The Bay Shop Hop 2019 - Lighthouses On The Bay. Patterns or kits of the lighthouses must be gotten from each individual shop. The quilt finishes at 62" x 75".